Disney teamed up with Umbro to produce a limited number of “Tuff Mickey” soccer apparel via Soccer World. 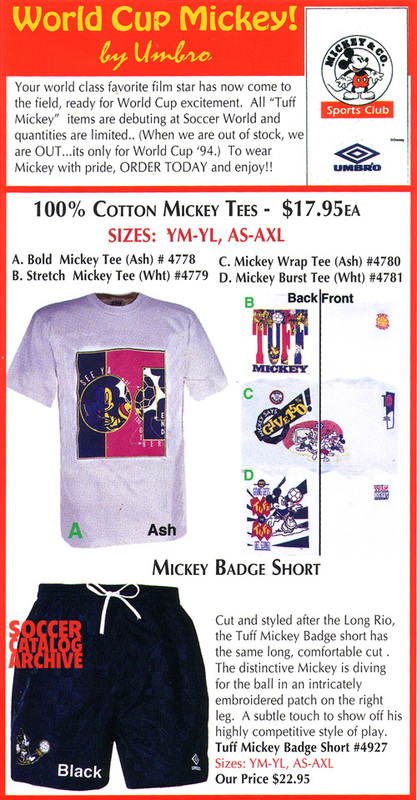 The Mickey Tees and Mickey Badge Shorts were created for World Cup ’94. Once they were sold out…they were gone. Drop us a line and say "hello." "I am Zlatan...and I am great." Before there was FIFA 10...there was Pele. Susan Zighelboim on Who was behind Soccer Madness?